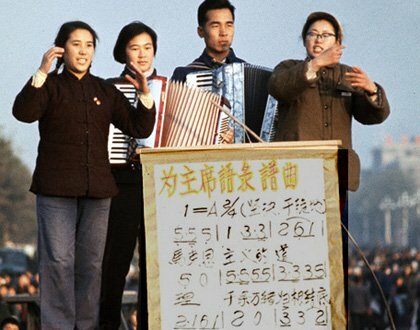 As the Cultural Revolution reached its crescendo in the years between 1966 and 1969, a new and remarkable form of popular music saturated Chinese public space by way of a system of hundreds of millions of wired loudspeakers that spanned the country. ‘Quotations songs” set Chairman Mao’s writings to music, and were deliberately conceived as a musical analogue and mnemonic device for The Quotations of Chairman Mao. Surprisingly, these songs adapted from what is now known as “Little Red Book” were eventually proscribed by Chairman Mao’s wife, Jiang Qing, who objected to what she saw as their off-color propensity to set listeners into pleasurable motion. Yet what could possibly be promiscuous (or even pleasurable) about a choral march in duple meter entitled (to cite just one of the more than one hundred such compositions that were published and recorded) “Ensure that Literature and Art Operate as Powerful Weapons for Exterminating the Enemy”? The answer may lie not just in the ecstatic movement which sometimes accompanied the performance of such music, but also in the deliberate promiscuity of their form. By form, I indicate not only their musical, lyrical, and ideological characteristics, but also the way in which these qualities made use of the new technological possibilities and ever expanding reach of the socialist mass media in the 1960s. Quotation songs, in a manner not radically different from popular music in the same years in the West, were designed for promiscuous movement, for effortless portability. And as with the mass-mediated pop songs of the 1960s in the US and Europe, the revolutionary songs of the 1960s owed their popularity in part to the self-conscious crafting of a ‘hook’ — a ‘catchy’ melodic figure, catchphrase, or distinctive sound that rendered a song not only recognizable but also replicable in disparate media and contexts. One of the arguments of this chapter is that the rhetorical logic of the “hook” is already implied by the citational form of the “Little Red Book” itself. Quotations songs were in fact the product and the logical conclusion of a system of what we might now call “cross-platform marketing” or “media interactivity” that took shape in the Chinese 1960s, and their power was premised on the ease with which they traveled across different media, from print to performance, from radio to records, and from the revolutionary postures of the “loyalty dance” to poster art. This workshop is sponsored by the Center for East Asian Studies and the Council on Advanced Studies in the Humanities. Persons with a disability who need assistance, please contact Nianshen Song (nianshen@uchicago.edu), Anne Rebull (anner@uchicago.edu) or Max Bohnenkamp (maxb@uchicago.com) in advance. In 1920s Shanghai films “ouhua” or the use of Western sets, costumes and manners to portray the lives of Chinese residents of Shanghai was a wide-spread phenomenon. 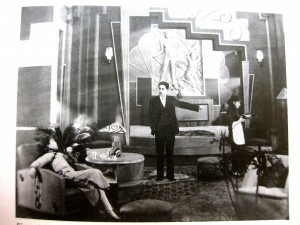 Persistent cultural nationalist criticism of it met with equal obstinacy on the part of filmmakers to continue the practice, suggesting that this was a central battle in the history of Chinese film of the period. Received Chinese film history has indeed approached the issue from a nationalist perspective. In my reading of some of the most notoriously “ouhua” films I take the different route of examining them from the perspective of affirmation and creation of both “Occidentalist” and consumerist desires. This allows me to shine a spot light on Shanghai film as a process both global and local as it borrowed amply from Hollywood films to visualize narratives about Shanghai life. As Shanghai was also problematically a part of a modernizing nation, national trends were refracted in these films. Thus I question the dominant national film paradigm in the study of early Chinese cinema that tends to extrapolate the national out of the local and blur the difference and tension between the two. 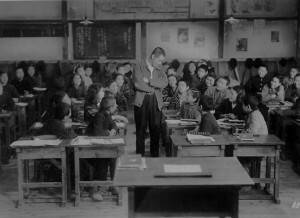 Though most scholars suggest that prewar Japanese education was a field tightly controlled under the Ministry of Education, the 1920s and 1930s witnessed a wide range of pedagogical experiments that sought to reverse, through practice rather than policy, the social and class inequities that were reproduced through the institution of public education. Along with a desire to change society through the schools, a growing awareness grew among adults of varying political motivations to recognize children as valuable members of society in their own right: to carve out a space for them in society that went beyond regarding the young as instruments of national progress, or as nature’s antidotes to the rationalizing forces of modernization. This carving out of a space – the very process through which perceptions of childhood were forcibly altered among adults and the young alike – was driven by a new sense of urgency in the decades of the 20s and 30s among school teachers who encountered poor, working class students in rural areas classrooms. This chapter shows how modern free verse poetry, a literary form that was itself still in its historical infancy, was accorded a central role in shaping new definitions of the child. Beginning with the modern poet Kitahara Hakushu’s (1885-1942) decisive role in encouraging the production of child-authored poems, the paper explores how educators later went on to employ poetry in the classroom to engage the expressive capacities of their working class students. By placing poetry in the hands of children, teachers sought to forge a culture that reconnected with the pedagogical possibilities hidden within writing from local life and daily experience.